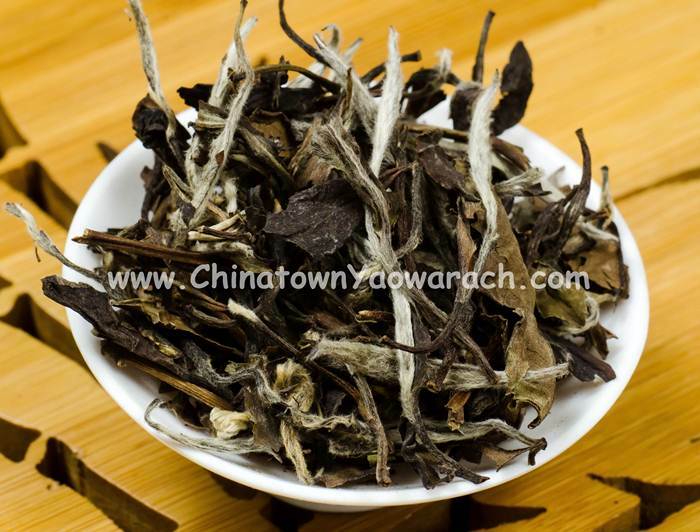 Shou Mei White Tea. fat buds and tender leaves with corrugated ridges. It’s a whole shoot plant with the back of the leaves covered in white hairs, and the edges of the leaves roll backward. The tea liquid comes out a clear light apricot color, tastes fresh and thirst quenching.